Wow! How interesting and useful. Congratulations to all of you! There are many familiar names of authors in the list and I’m sure they come with fast preparing and tasty recipes. Thank you, Carmen, for taking the time to comment! Thank you for posting this, MM Jaye. 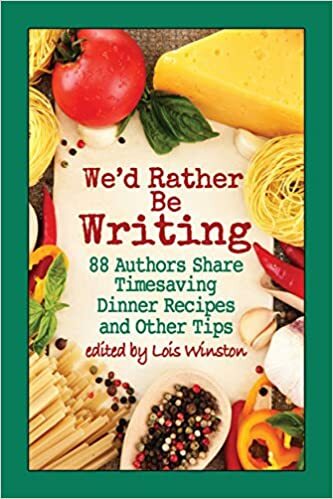 I am also a contributor and will follow your lead and blog about our new cookbook too–WE’d RATHER BE WRITING. How true!